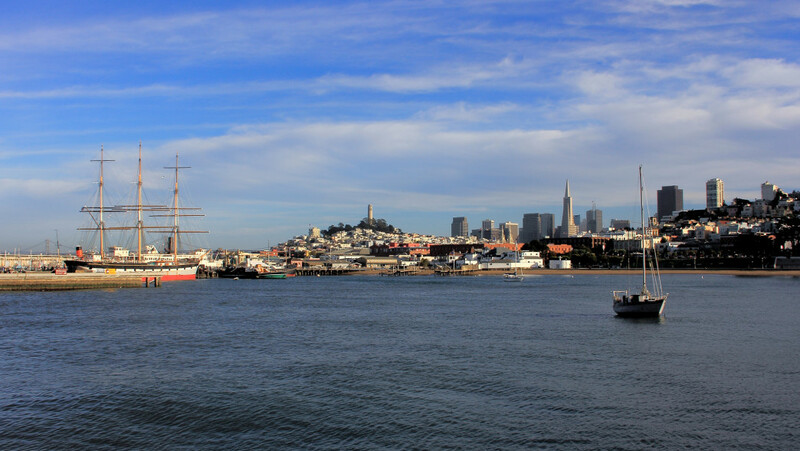 This is a great spot for experienced paddlers to explore some of the more famous sites in San Francisco Bay. Located in the Aquatic Park Historic District, Aquatic Park Cove is a good spot to launch a kayak from the sandy beach. From here, kayakers can paddle out of the enclosure and into San Francisco Bay. 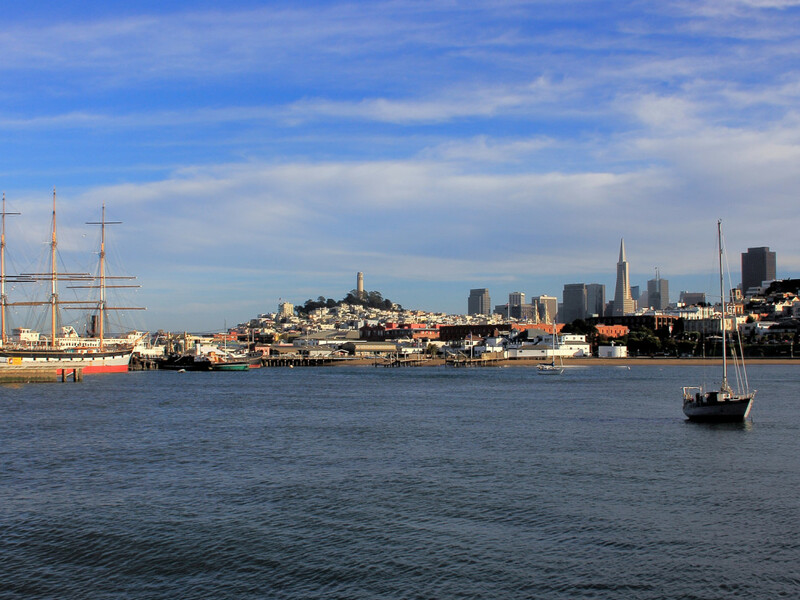 Destinations to explore include Alcatraz Island, Angel Island, Horseshoe Cove and the Golden Gate Bridge. Beware, this is not for the beginner paddler. Initially protected in the water, paddlers will soon find themselves in open water, with large and small boats making crossings, as well as weather stirring up waves. Make sure you and your paddling partners have the skills and safety equipment to handle those waters. The tours from Aquatic Cover are for experienced, open water paddlers with keen navigation skills. There is a lot to see, so traveling in groups for less experienced paddlers is a good idea. Parking around Aquatic Park is limited and can be full on weekends, but there are plenty of options only a short walk away. A wheeled kayak cart is a good piece of equipment to have here or you can practice your lifting skills. Aquatic Park is also a popular place for open water swimmers. Keep an eye out, and you might see a seal or porpoise!